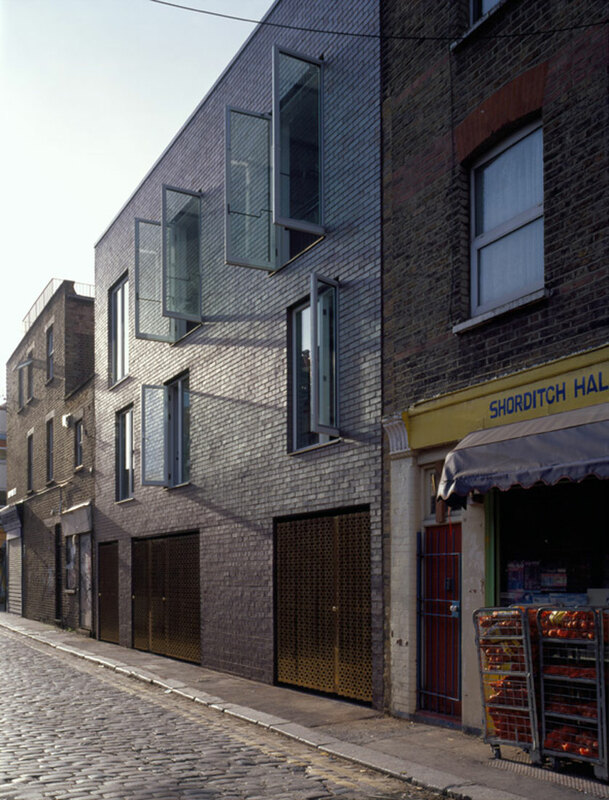 Occupying a modest infill plot in London’s East End, these three small houses complete the urban block and front directly onto the pavement to define a hard-edged, intimate character to the public realm. 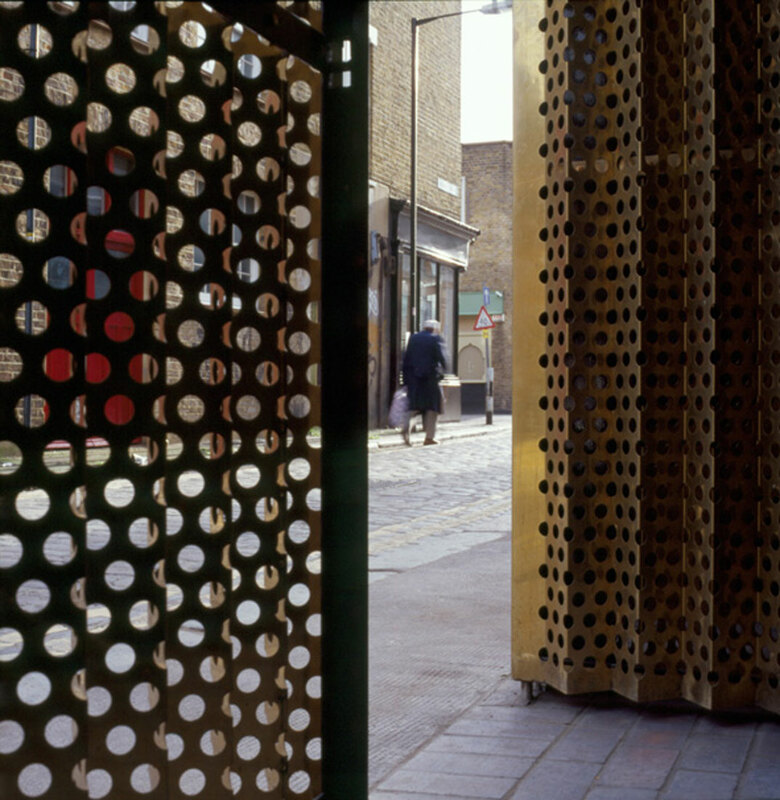 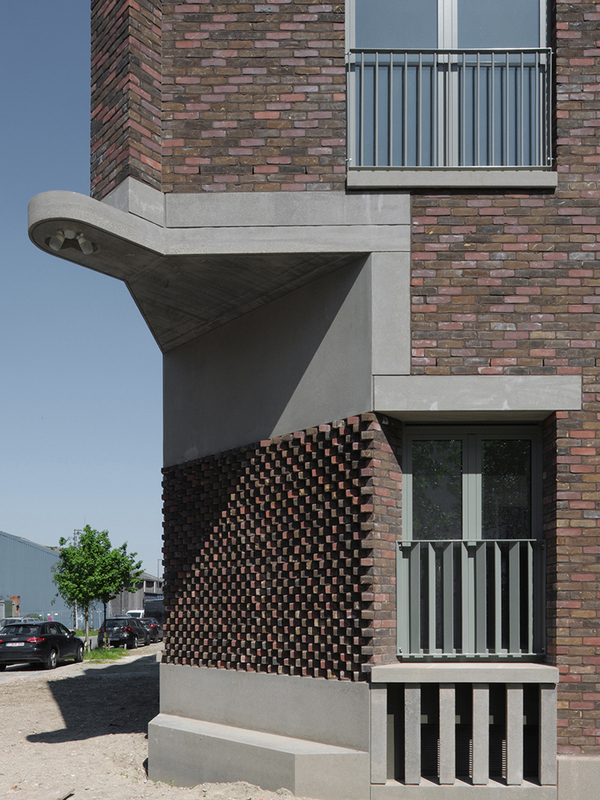 The dark brown engineering bricks echo the tones of the cobbled street and sooty neighbouring façades, whilst perforated and folded brass gate screens create a presence on the street evocative of the area’s artisanal past. 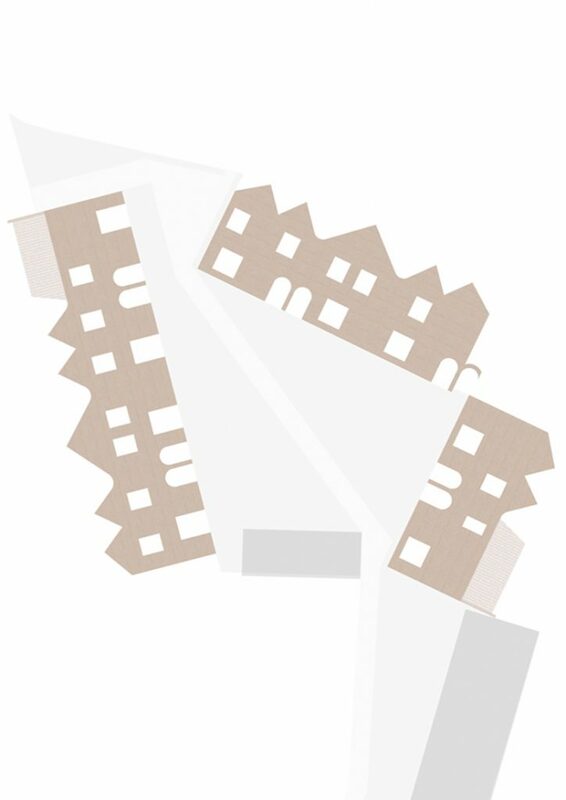 Seen as an instance of urban repair, the project acknowledges and celebrates the patchwork city to which it belongs. 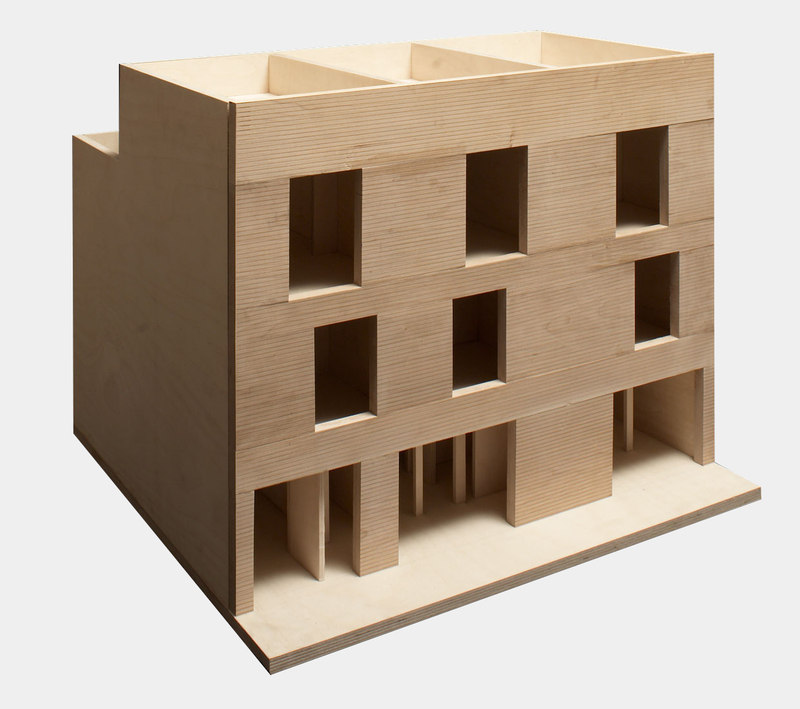 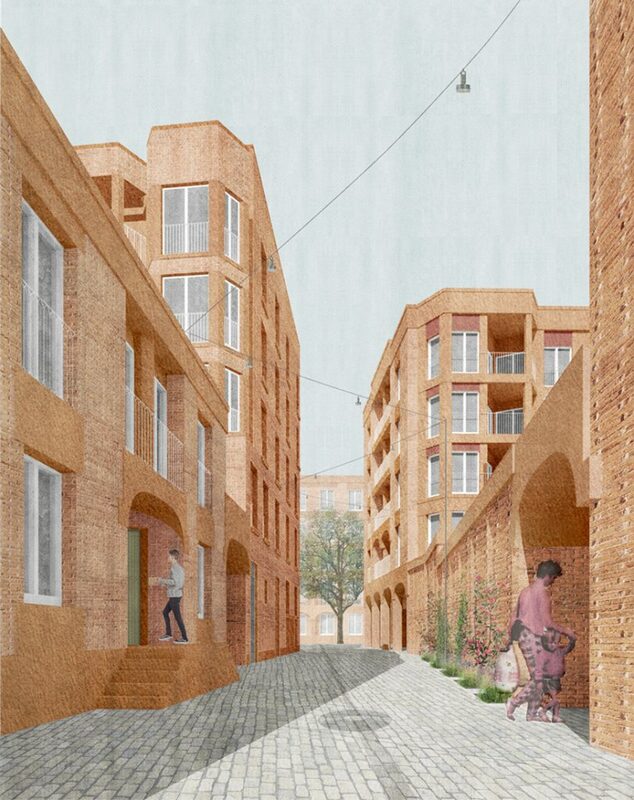 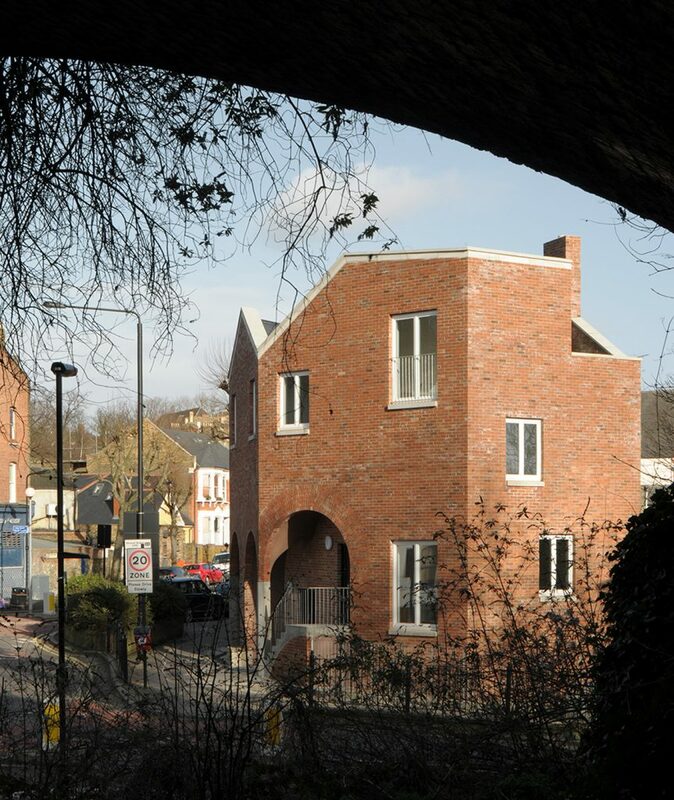 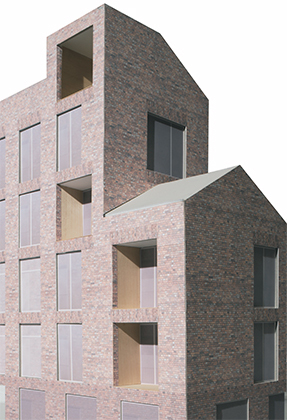 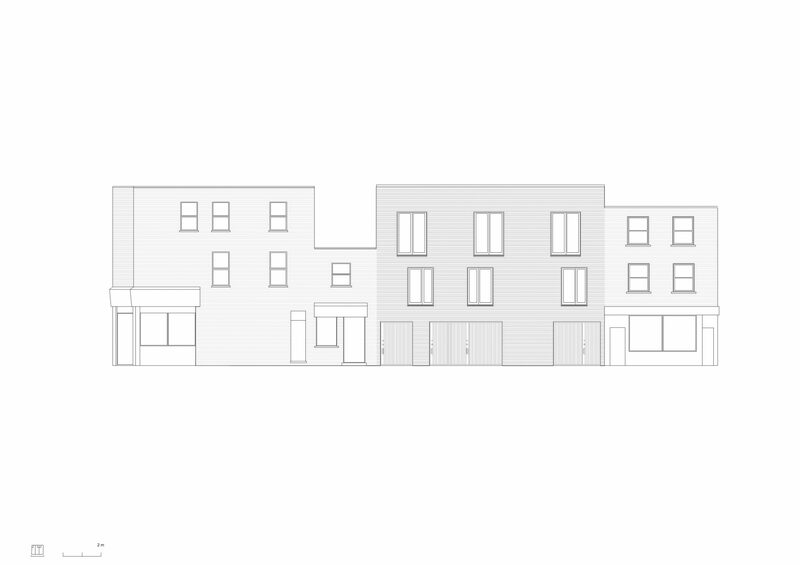 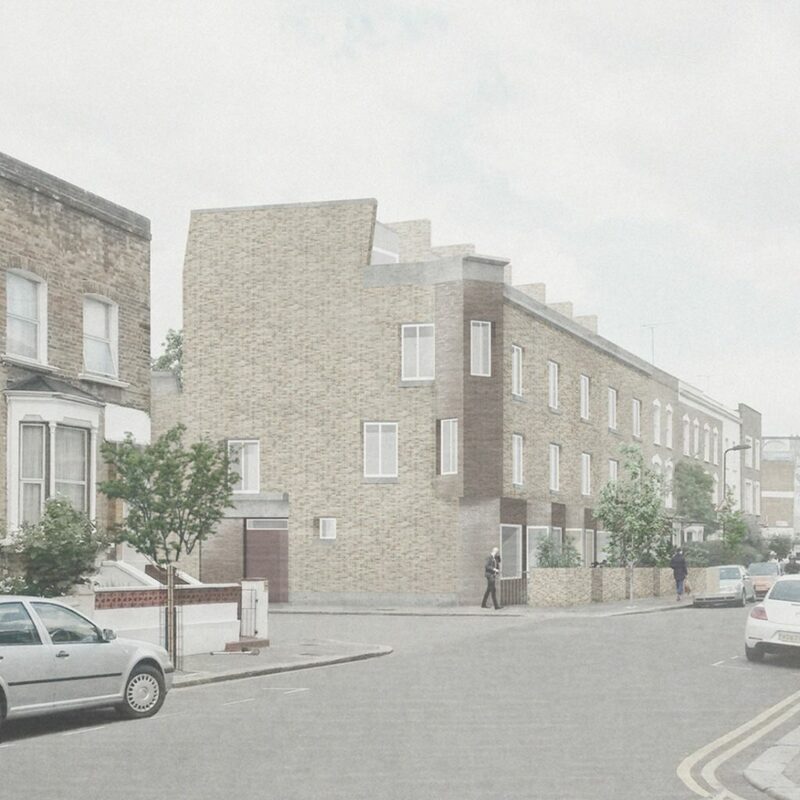 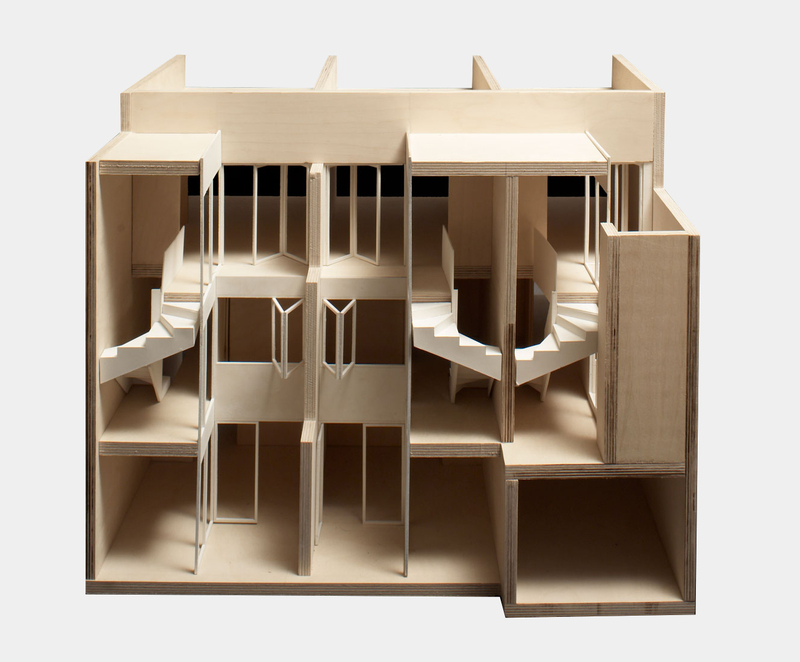 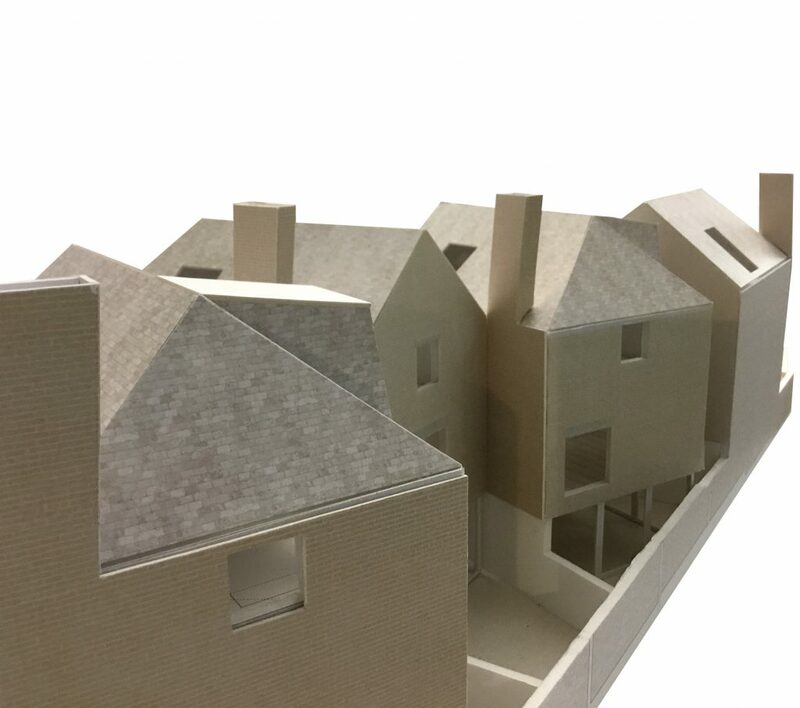 Cognizant of the compact eighteenth-century dwellings that once occupied the site, the scheme explores the possibilities of making low-rise, tight grain housing in the core of the city as a sustainable model to meet our increasing housing needs. 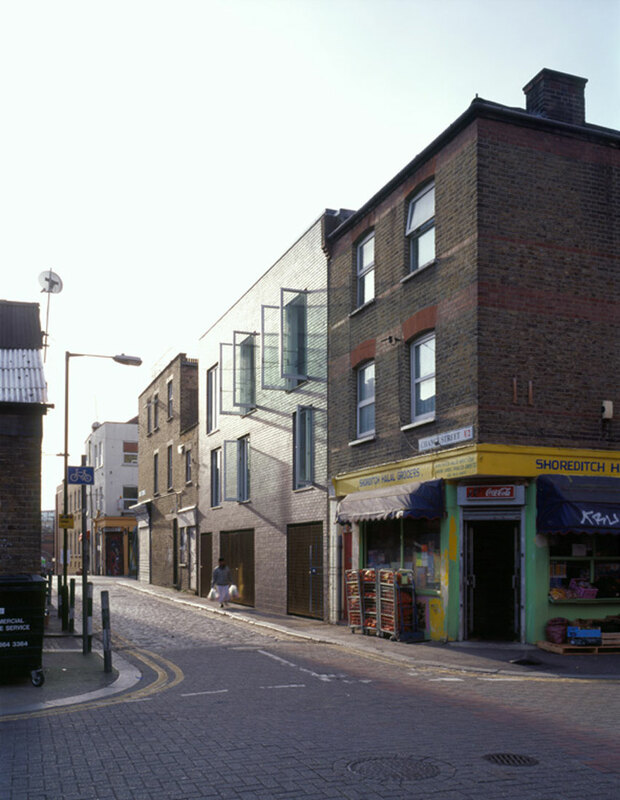 The twelve by nine metre site with a single east-facing aspect to Chance Street is divided into three plots, each occupied by a three-storey house. 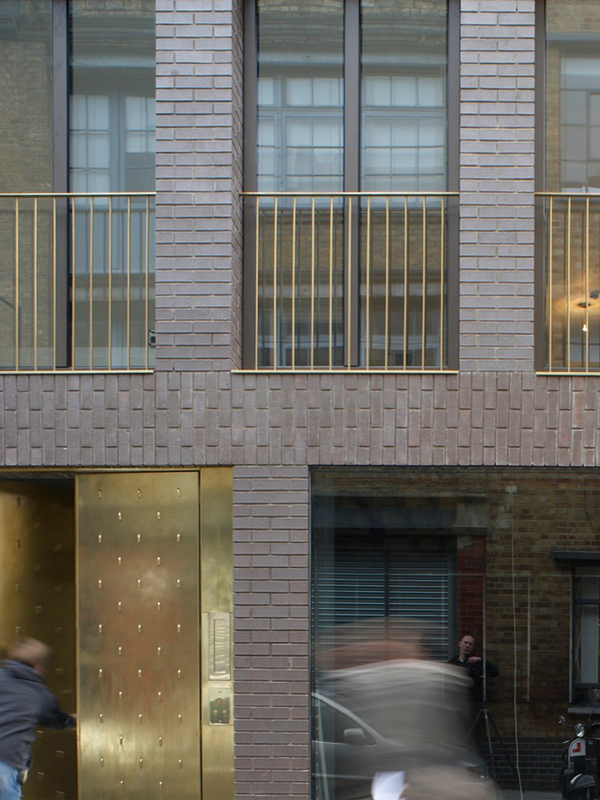 The street is reaffirmed as a place of habitation whilst large inset brick porches behind the brass gates layer appropriate degrees of privacy to the spaces within. 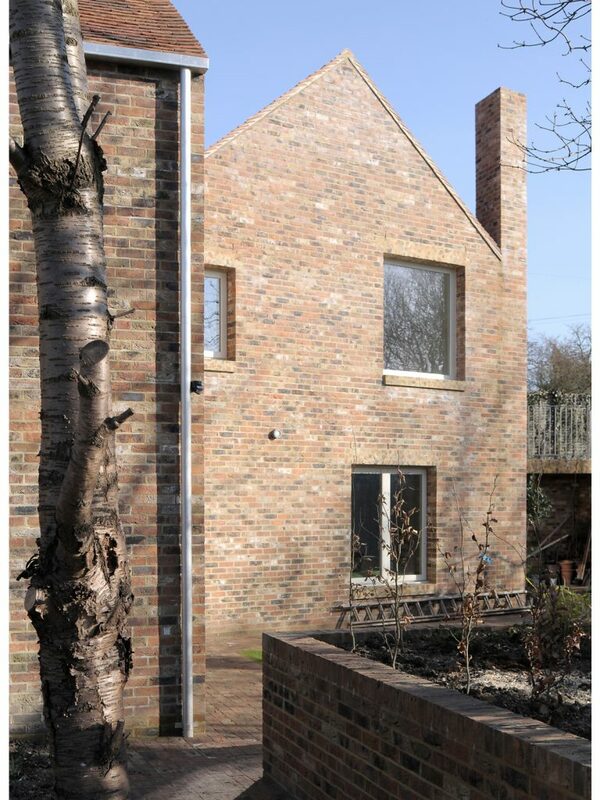 Light and air are brought into the rear by a series of small courtyards with white clay brick walls. 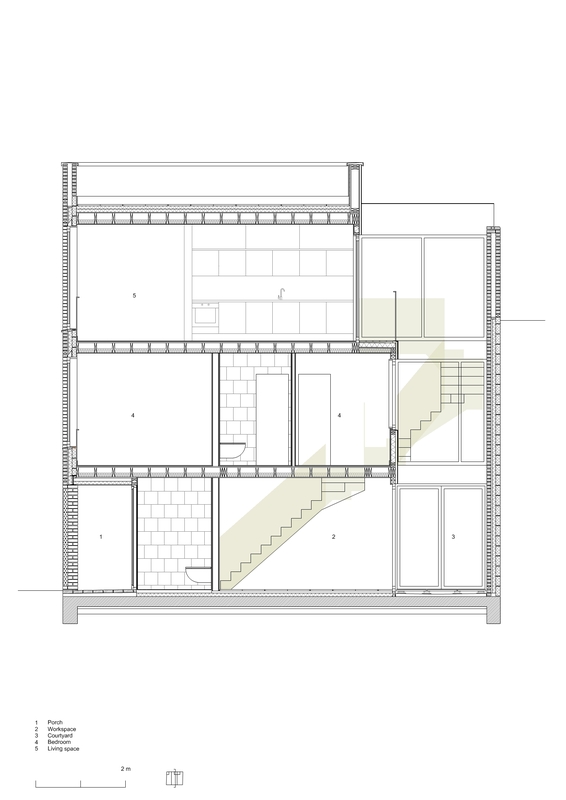 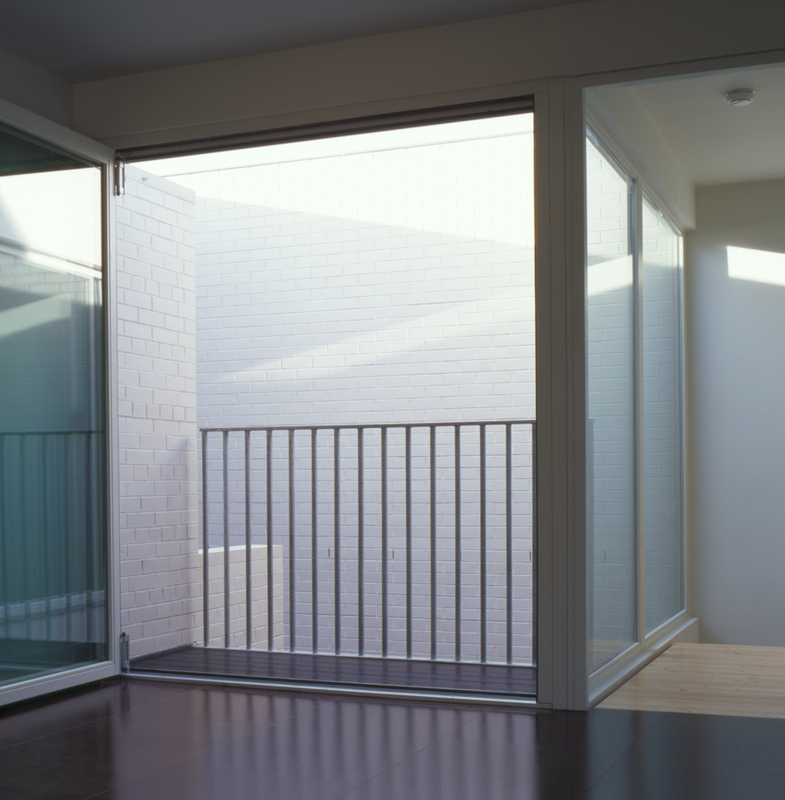 On each level, folding windows open across the courtyard, inhabiting its volume as the territory of the room. 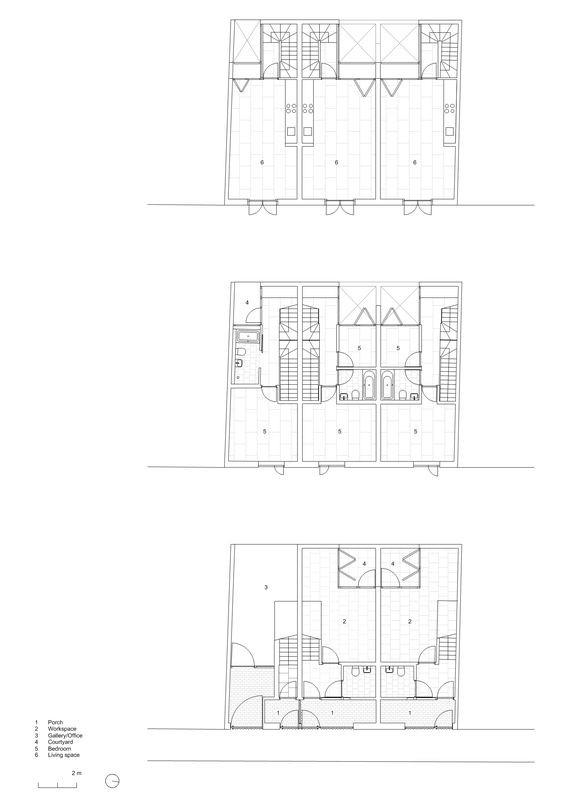 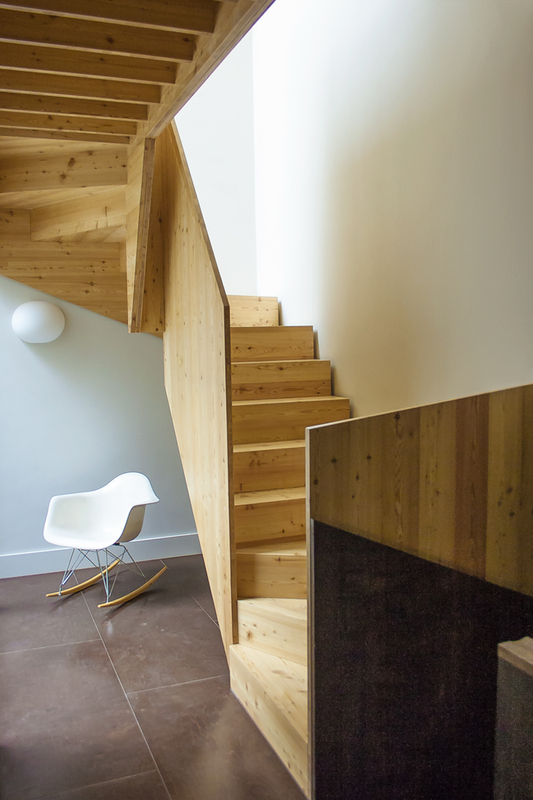 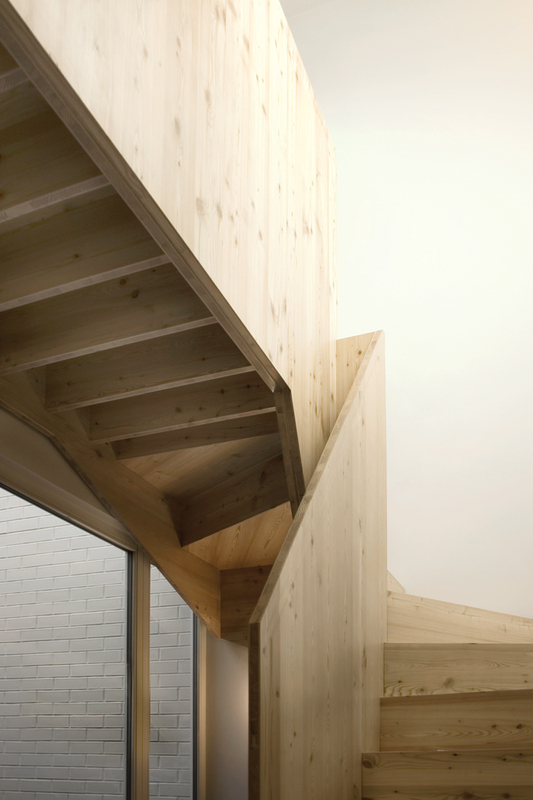 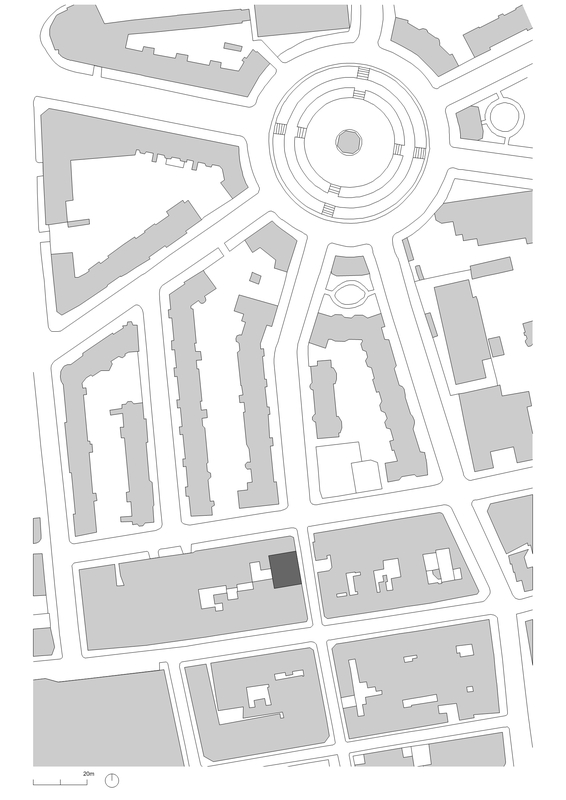 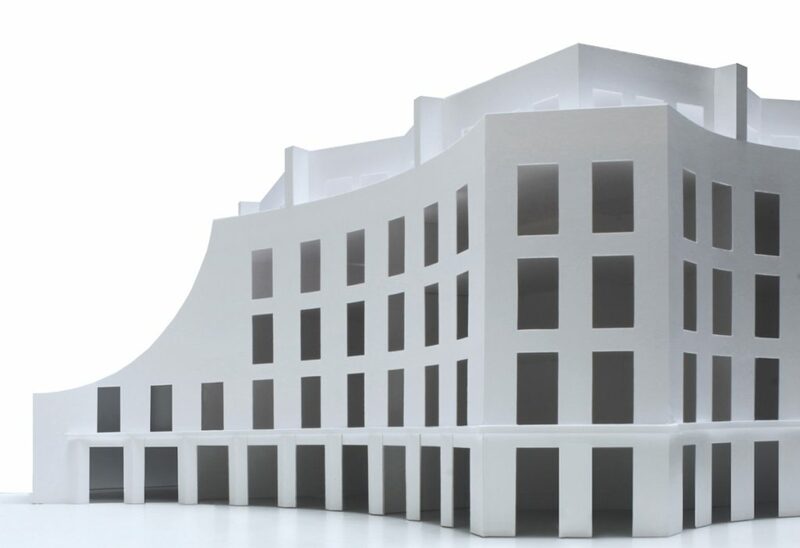 Spaces are made to work hard, often each accommodating a number of flexible and overlapping uses. 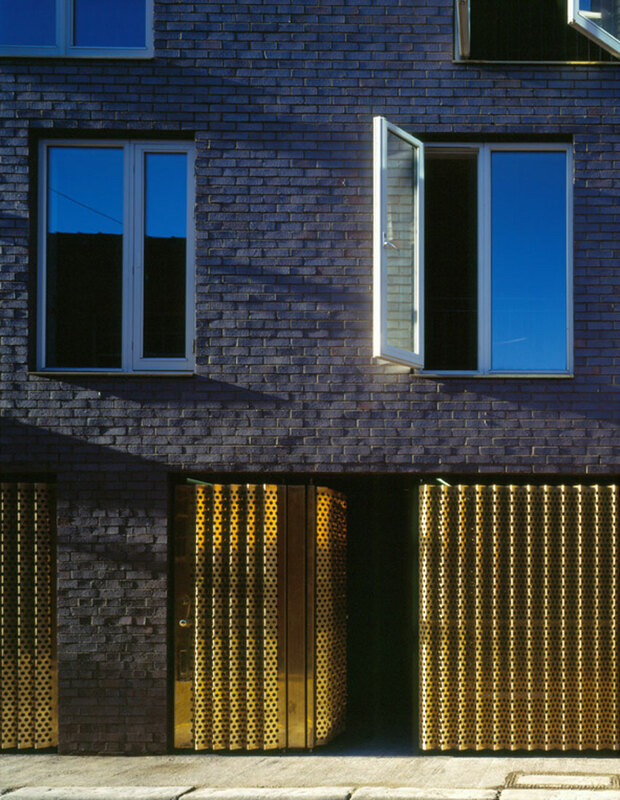 The kitchen dining room is located at the top of the house to benefit from the best light and access onto a rooftop garden.